Canine and Feline Anesthesia and Co-Existing Disease is the first book to draw together clinically relevant information on the anesthetic management of dogs and cats with existing disease conditions. Providing a detailed reference on avoiding and managing complications resulting from concurrent disease, the book offers a ready reference for handling anesthesia in patients with common presenting diseases. Organized by body system, Canine and Feline Anesthesia and Co-Existing Disease is designed to allow the reader to quickly find and apply advice for anesthetizing patients with specific conditions. Each chapter presents in-depth, practical information on the special considerations before, during, and after sedation and anesthesia of a patient with a given disease. 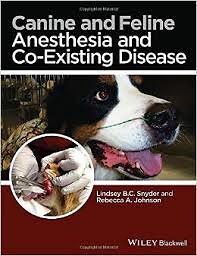 Canine and Feline Anesthesia and Co-Existing Disease is a useful reference for general practitioners, veterinary students, specialists in a variety of areas, and veterinary anesthesiologists alike.A.